BD Wong, Anastasia Barzee, Clarke Thorell, Cindy Cheung, and Orville Mendoza will perform a benefit mini-concert featuring songs by the Asian-American musical writing team of Robert Lee (lyricist) and Leon Ko (composer) (Journey To The West and Heading East), in the Rattlestick Playwrights Theater’s Musical Mix ‘n Mingle, on Monday, October 19, at St. John’s in the Village (224 Waverly Place) in New York. The evening of music is part of Rattlestick’s ongoing series of musical soirees with some of the company’s favorite theater artists, composers, singers and songwriters. The evening kicks-off at 7 pm with a wine reception, followed by a performance at 7:30 pm. There is also a post performance reception where the audience can “mix ‘n mingle” with the evening’s artists. Musical Direction will be provided by Wayne Barker on piano and Dave Phillips on bass. Tickets are $50 and can purchased here. For more information, visit http://www.rattlestick.org. 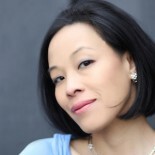 This entry was posted on October 12, 2009 by Lia Chang in Asian American Artists and tagged Backstage Pass with Lia Chang, BD Wong, Cindy Cheung, Clarke Thorell, Orville Mendoza, Rattlestick Playwrights Theater, robert lee.